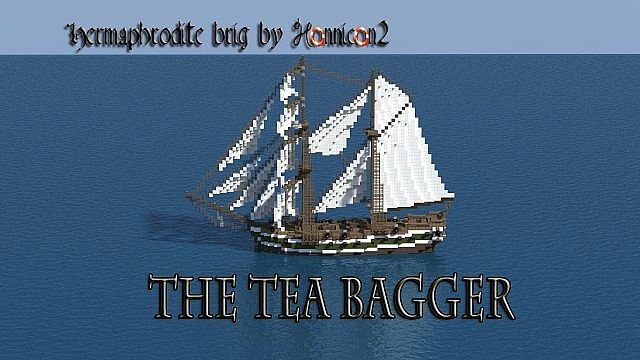 Here is yet another ship I made this week =D This time I call it "The Tea bagger" as it is also a brig, and the name goes nicely with the "HMS Scones" that I made yesterday. I am not quite as happy about the rig on this one, but the hull-design has improved by allot! I did not create an interior for this one, as I am working with a very thight time schedule atm. 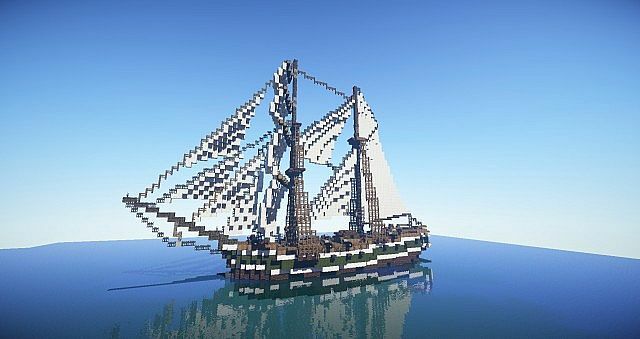 Use this ship in servers, if the server is not pay-to-play. make youtube videos showcasing the ship (please do, it would be awesome). 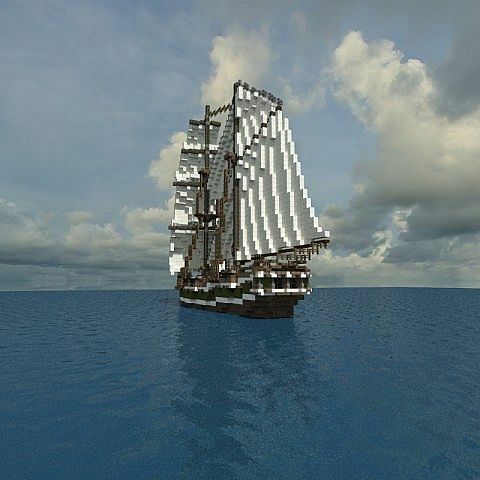 Use this ship in a pay-to-play server. Claim that you built this ship. 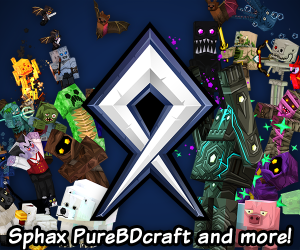 republish the ship in ANY WAY (adventure maps are the exceptions). 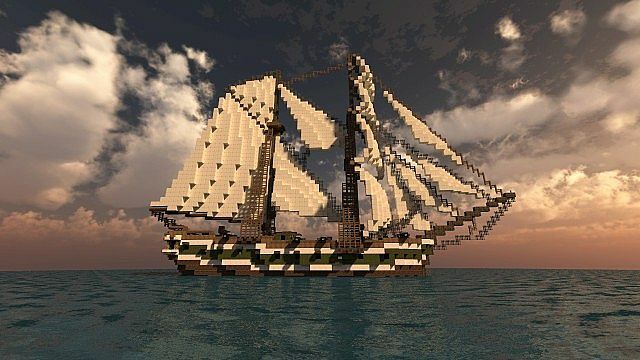 Build on or alter the design of the ship in any way, and post it online afterwards. if you have it on your server, and you need an interior, sure you can make an interior. just DON'T repost the ship. You sir, have won life. You actually took my word and made a hermaphrodite brig, haha. Great work man. 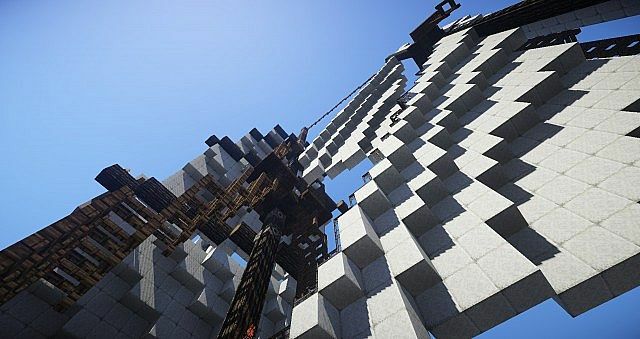 Do you have a bunch of ships that you've saved up to release, or do you just build really fast? Anyways, keep up the excellent work. BTW! I am also HONNICON2 XD. sorry I forgot I was using another account. I know I'm slow, and I have like 5 hulls ready and only 1 of them is close to done, and I've been sitting on them since like november. Using the fences as ropes is a fantastic idea. Nice job! 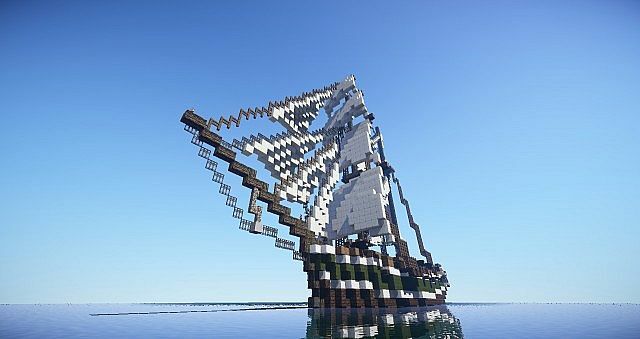 +5 because you are great at making ships.